Although global competition is fierce, Canada is poised to lead in the field of artificial intelligence (AI). 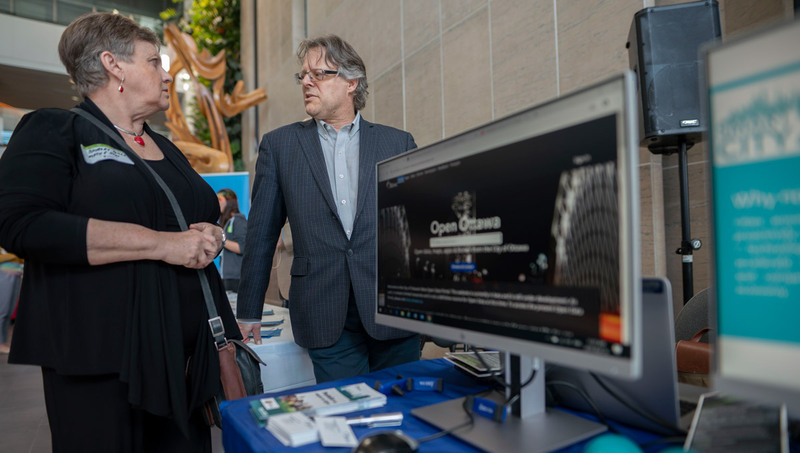 Anil Arora, Chief Statistician of Canada, is convinced that if it can come to a consensus on safeguards and standards involving the use of and processing methods for big data, the country could have a leading edge. “Like the steam engine and electricity before it, AI is already being likened to a general purpose technology which dramatically and drastically alters society,” he said. Arora delivered his message in a keynote address on March 26 to record attendance at Carleton’s Data Day 6.0. He called on academics, business and government to work together to create the necessary conditions for success. 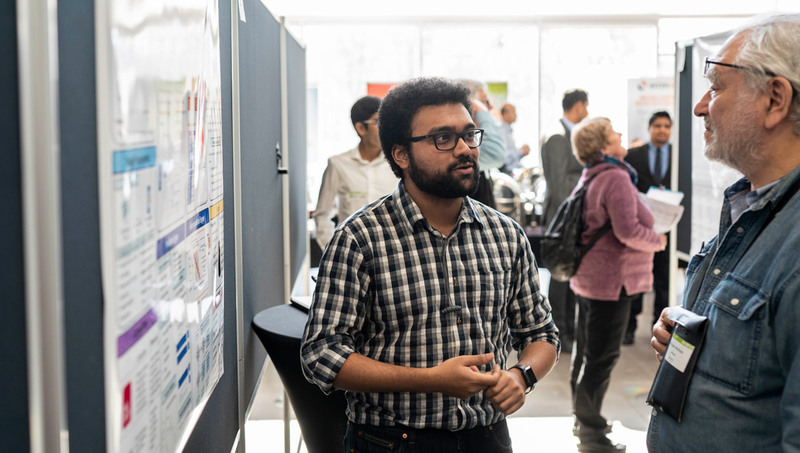 Designed to promote collaboration and celebrate the latest development in data science and analytics research, the inaugural Data Day in 2015 had 55 registrants. 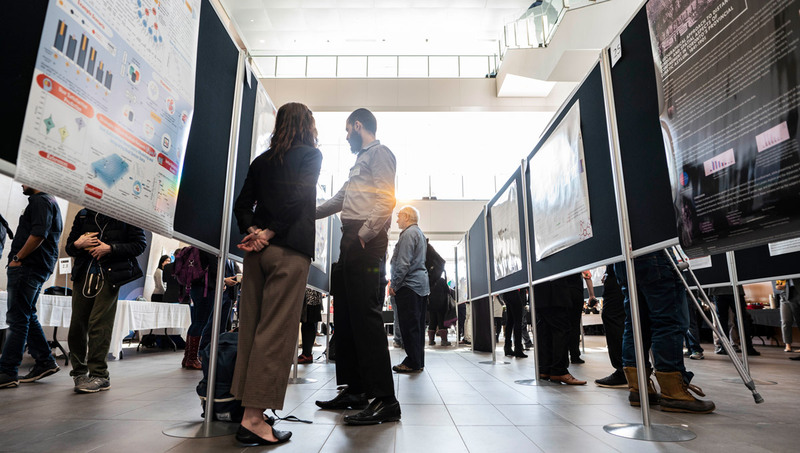 Parallel to the field’s growing prevalence and the initiative’s success, the sixth annual conference saw 10 times the interest and sold out in 10 days. After his address, Arora and Carleton President Benoit-Antoine Bacon co-signed a memorandum of understanding to certify an already longstanding partnership between the university and Statistics Canada. These efforts are helmed by the Institute for Data Science, which organizes Data Day and offers a collaborative master’s program to students in 14 academic disciplines with a specialization in data science. 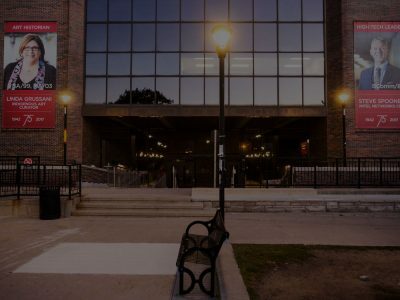 Frank Dehne, the institute’s founding director and Carleton Chancellor’s Professor of Computer Science, reported that enrollment in its interdisciplinary program was growing quickly (from 80 students to 120 in one year) and that a 15th program, Physics, was joining the list. The institute moved into its own dedicated lab space last summer, and it will soon offer a PhD in data science. 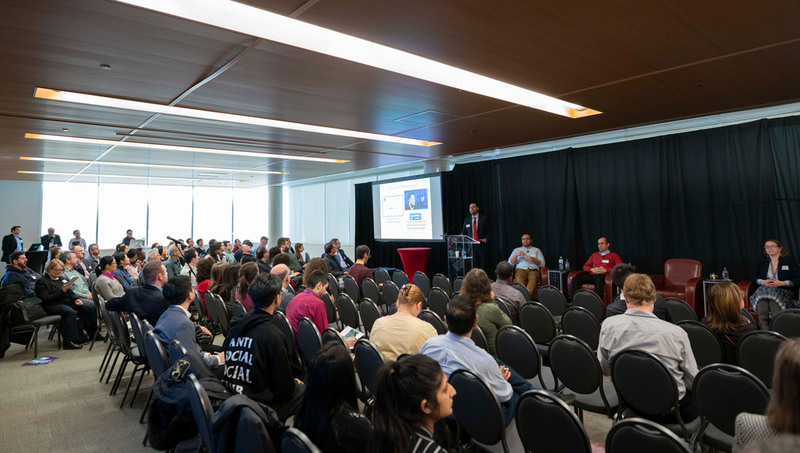 Data Day 6.0 included a panel on AI’s potential to work for the public good, another on the research possibilities stemming from the work of several Carleton faculty members, and its annual graduate research poster competition. 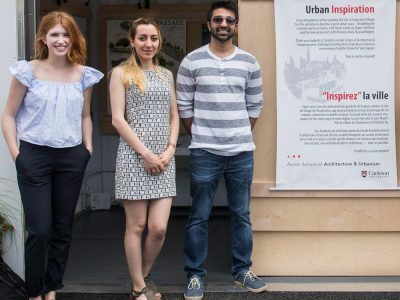 A team of students working with Systems and Computer Engineering Prof. James Green — post-doctoral research fellow Shermeen Nizami, PhD candidate Yasmina Souley Dosso and undergraduates Joe Samuel and Naman Sethi — won first prize for their poster describing their work on new, unobtrusive patient-monitoring tech in neonatal intensive care units. The final panel focused on the stories of Ottawa-based start-ups such as cyber-security outfit Interset, biotech developers Designed Biologics, and AI firms Lemay.ai and Mindbridge. To kick off the wide-ranging conversation, the morning panel “What Will Be on the Agenda for Data Day 16.0?” asked its panelists to hypothesize what the next decade of data science would hold. CHEO’s Chief Innovation Officer Mari Teitelbaum said that the children’s hospital currently uses its data retroactively to evaluate how well it treated its almost half a million patients a year. 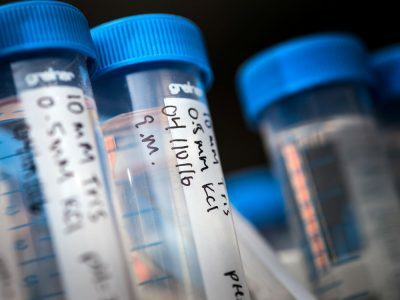 “At the end of the day we want to stop reacting to data and we want to start using data proactively to change the way we deliver care,” she said. 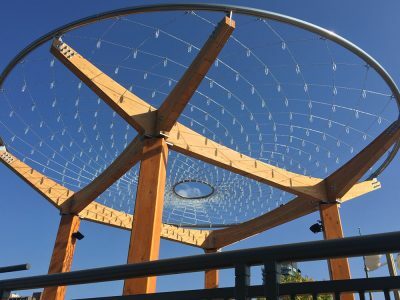 ​Halim Yanikömeroğlu of Carleton’s Department of Systems and Computer Engineering explored the future of networks. Adding more bandwidth and infrastructure to transform the smartphone-fixated 4G into the Internet-of-Things-focused 5G wouldn’t be the best strategy to scale up to the sixth generation, he said. According to Yanikömeroğlu, by the 2030s, 6G network providers could be using a more adaptive system in which users’ needs are analysed in real time based on the context, the time of day and their mood. Richard Yu of Carleton’s School of Information Technology echoed Arora’s sentiment that collaboration was needed to face the industry’s largest challenges. Big data, he said, could only lead to “big intelligence” through the sharing of knowledge. The complexity of making the world’s traffic systems autonomous would require such a collaborative effort. The theme of consensus ran throughout the day-long event.